Buick introduced the Terraza in 2005 and discontinued it after the 2007 model year. It came equipped with an underwhelming 3.5-litre V6 providing 200 horsepower matched to a four-speed automatic transmission, which never quite caught on with consumers. Buick equipped the seven-seater Terraza with thirty-four nooks and little spaces for putting bits and pieces. There are twelve cup-holders, seatback compartments, folding centre trays, and a hard plastic storage bin in the rear. The steering is adequate, bumps are soaked up in the stride, and the cabin is appropriately quiet. Despite Buick's advertised "QuietTuning" technology, cabin noise levels are not so whisper-quiet. 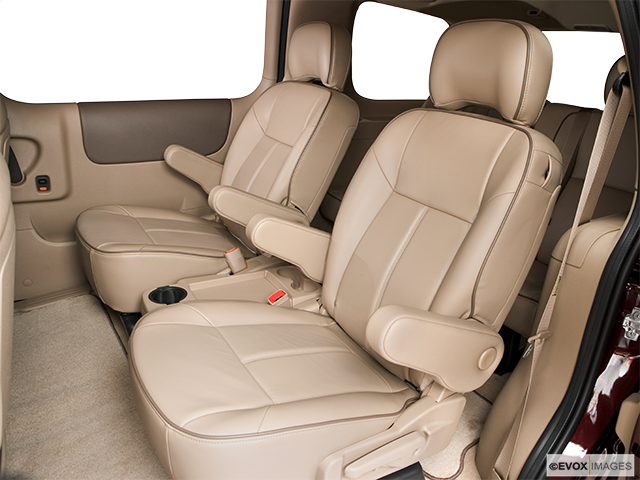 The standard leather seats with contrast double-stitched piping are comfortable if a little on the firm side. The second-and third-row seats can be folded, but not flush to the floor, they only fold to produce a flat but elevated space for loads. However, if it is necessary, they can be removed by simply lifting them out. There is a luxurious feel about the cabin with plenty of faux wood giving it an upmarket ambiance. The Buick Terraza is not fast but proves itself as a satisfactory minivan. The Terraza was introduced in 2005 and brought out with a 3.5-litre V6 engine producing 200 horsepower and paired with a four-speed automatic transmission. It came as a front wheel drive, with an option of an all-wheel drive. There were three levels of the Terraza, namely, CX, CX Plus, and CXL. The CX was well-equipped with plenty of amenities, and the CX Plus had additions of dual-zone climate control, a sport-tuned suspension, and auto-levelling rear suspension. 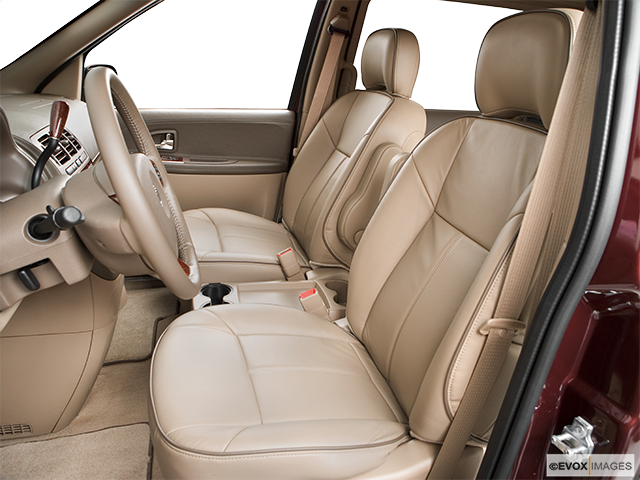 The top CXL provided extra's of rear air-conditioning, eight-way power front seats, alloy wheels and a rear-parking assist. The Terraza does offer plenty of cargo space which is worthwhile for anybody wanting to haul items professionally. Another bonus is the sliding doors making entry and exit easily done in tight parking spaces. From 2006, the Terraza had an upgrade and was equipped with side airbags for the first and second row, as well as a more powerful engine. The front-wheel trims now possessed a 3.9-litre engine, and DVD entertainment for the rear became a standard feature. People who wanted another system, they could opt for the PhatNoise digital media system. As well, for 2007, all-wheel drive and the 3.5-litre V6 were discontinued. Overall, the large V6 engine of the Buick Terraza is capable of delivering respectable acceleration around town and ample power for merging and passing at highway speeds, despite its size. The suspension provided an acceptable balance between ride comfort and responsive handling, but unfortunately, other minivans offered sharper reflexes and a tighter turning radius. The braking distances were also a little on the long side. 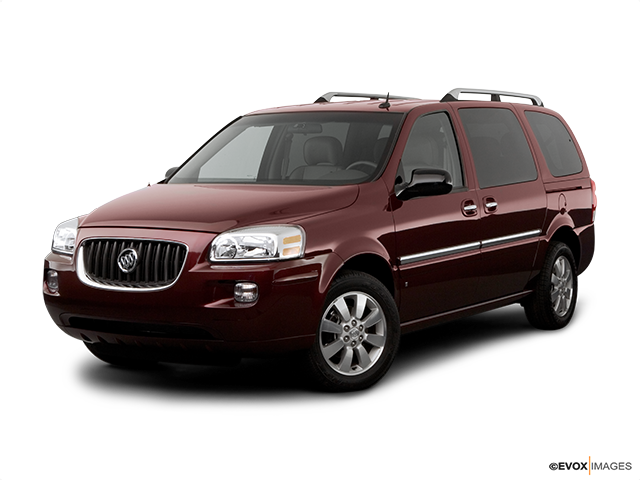 Production of the Buick Terraza came to an end during 2007.